Listed here are the most sought after Historic Charleston attractions that have contributed to the spirit and character of this legendary city. If you love a good look into the past or have an appreciative eye for beauty and charm, add any of these sites to your travel itinerary and you won't be disappointed. While the South Carolina Aquarium is a relatively new venue, I've chosen to list it with these other Historic Charleston attractions because, among other things, it shows where Charleston was on the map ages ago compared to where it is now, while also showing the history of the Lowcountry inhabitants. It is also listed as a Top 10 Best so I felt it deserved prominence among these other highly sought after Historic Charleston attractions. If your trip to Charleston includes visits only to the attractions listed on this page, you will get a great birds-eye view of the brilliant appeal of this great city. 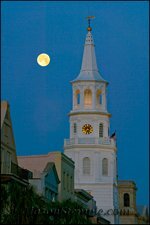 In fact, when we have friends or relatives in town for only a short while, this list of Historic Charleston attractions is what we choose to explore with them. They get a great taste of the Lowcountry and we get to be tourists in our own home town! I hope you have as much fun as I do finding your favorite Historic Charleston attractions! 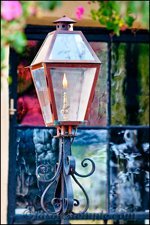 Dating back to c. 1818, this house still holds many of it's original furnishings and has been preserved almost unchanged since 1858. Battery Park/White Point Gardens Top 10 Best! 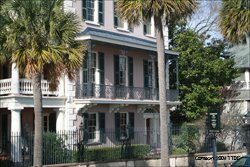 See Historic Charleston Battery below. This is America’s first museum! Learn all about the Lowcountry and it's history. They now also have a hands-on children's exhibit called Kidstory. M-Sa 9am – 5pm; Su 1-5pm. Adults $10, children 3-12 $5, under 3 are free. Dating back to 1809, this was originally constructed inside the Planters Hotel and built on the site of one of America's first theatres dating 1736. A replica of a Georgian Playhouse. Dock Street Theatre is closed for renovations until 2010. Dating back to c. 1825, this house showcases original furnishings and possessions while showcasing a fantastic view of the Charleston Harbor. It is known most for the reside of General Beauregard who witnessed the attack on Ft. Sumter in 1861 from here. The site where the Civil War began on April 12, 1861. This National Memorial sits in the middle of Charleston Harbor and can be visited by ferry or private boat. Tours leave from either Patriots Point in Mt. Pleasant or the Fort Sumter Visitor Education Center at Liberty Square Downtown. Open daily except New Year’s, Thanksgiving, and Christmas. Hours vary by season. Open daily from 8:30am to 5:00pm except New Year’s, Thanksgiving, and Christmas. Admission is free. The Hunley was the world's first successful submarine that was lost to the sea in 1864. After careful discovery and transport in 2000, the Hunley is now on display for weekend tours while scientists work to uncover its story. Dating back to 1772, this house was called home by Thomas Heyward, Jr. who was a Revolutionary patriot and signer of the Declaration of Independence. Adults $10; children $5. Combination tickets available. Historic Charleston Battery Top 10 Best! The Battery is located at the southern most tip of the Charleston Peninsula, where Murray Blvd. and East Batttery (East Bay) Street meet. Part of The Battery is White Point Gardens and collectively they are the landmark that help to define Charleston. If you don't have time to walk it, I highly recommend a leisurely drive by to view the impressive mansion architecture and glorious oak trees! My first recommendation though would be to walk the park to indulge in the 18th century cannons, historical statues, picturesque gazebo and a perfect view of Fort Sumter in the harbor. In my book, your visit to Charleston is not complete without heading down to the Battery! Catch Rainbow Row on East Bay St. on your way there. 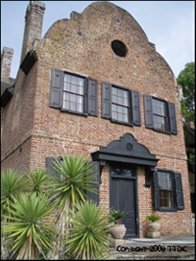 Dating back to 1803, this is known as “Charleston’s Huguenot House” showcasing the Adam-style or Federal architecture with furnishings of a wealthy, rice-planting proprietor. 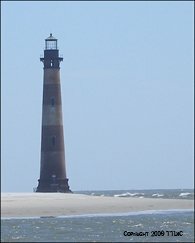 A famous Charleston landmark that is isolated on a barrier island and is subject to the sea at high tide. It is listed as as one of the top 100 cultural sites in the state of South Carolina by the Heritage Trust Program Board. Dating back to 1808, this home of a wealthy Charleston merchant, Nathanial Russell, depicts the essence of eloquence of the time, even showcasing a free-flying staircase. Old City Market Top 10 Best! Dating back to 1841, Market Street features independnt merchants selling their wares in an open air setting, including Gullah ladies weaving the ever famous sweetgrass baskets. The street is also lined with specialty shops and restaurants. Dating back to 1771, this prison of American Soldiers during the Revolutionary War is "one of the three most historically significant buildings of colonial America." Originally it was built as the the Exchange and Customs House. Tells the story of the sale of slaves and Charleston's role, in conjunction with the history of the building itself. M-Sa 9:00am to 5:00pm. Closed on Thanksgiving, Christmas and New Year's. Adults $7.00, children 6-12 $5.00, under 5yrs free. Dating back to 1712, this is the oldest public building in North and South Carolina. It's purpose in defending Charleston in time of war was to store powder. It serves as a National Historic Landmark. South Carolina Aquarium Top 10 Best! The Aquarium boasts they are Charleston's most visited attraction. And why not?! Kids and adults alike will be amazed at all the animals and history throughout. A great place to view the harbor too. Check out their new exhibit and visit Alabaster the albino American Alligator or even pet the stingrays! The Yorktown, commissioned in 1942, was the 10th aircraft carrier of the US Navy and is now the center attraction at Patriots Point. It "earned 11 battle stars for service in World War II" and is accompanied by Destroyer Laffey, the Coast Guard cutter Ingham, the submarine Clamagore and 25 other aircraft. Waterfront Park Top 10 Best! Bring a change of clothes for the kids on the hot summer days! They'll want to join others running through the fountain at the end of Vendue Range. In fact, one of these days I'm going to do it myself! Then enjoy a leisurely swing on the pier while looking for dolphins in the Harbor with the USS Yorktown as the backdrop. The Pineapple fountain of Charleston can also be found here with other intimate gardens and jogging paths along the water's edge. Did you find your favorite Historic Charleston attractions? Share them with us!